There's no need to travel where everybody else goes. There’s no better place to vacation under the radar than in a secret European village. On winding cobblestoned streets you can easily lose yourself in centuries-old charm. All credit for the photos go to the photographers. 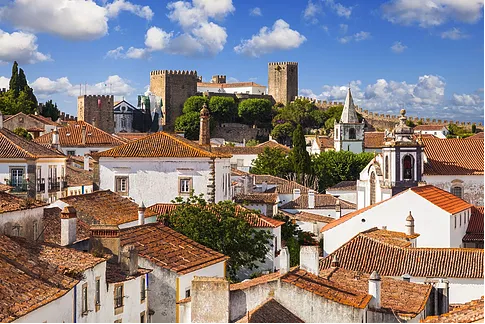 Taken from the Moors by Portugal's first king in 1148, Obidos is a medieval fortress and walled village that you enter, as in olden times, through the enormous and intricately painted southern gates of the Church of Santa Maria. Honeysuckle flowers spill from window boxes on whitewashed houses along narrow, winding streets. Restaurants, shops, and coffee bars inhabit spaces whose architectural features span centuries. Historians say this village on the Rhein River tops the list as Switzerland's best-preserved medieval small town. 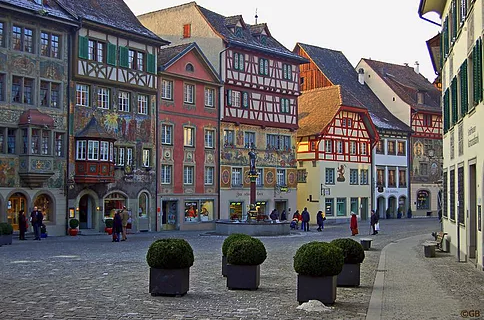 You can wander Stein am Rhein's old town maze of cobbled streets past painted facades, half-timbered houses, the city hall, and the Monastery of St. Georgen which now houses a monastery museum. In summer, pedestrian-only areas flood with visitors who linger under colourful cafe umbrellas and in little shops. Walks up the hillside above the town leads to the 13th-century Hohenklingen Castle surrounded by vineyards and woods. 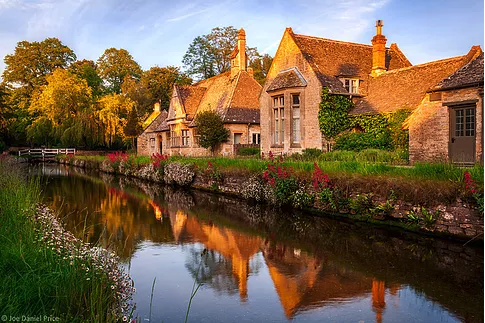 About a half-hour drive south of Shakespeare's hometown, Stratford-upon-Avon, is the Cotswold village of Lower Slaughter (Old English for "muddy" or "slough"). Only about 200 residents live here, in traditional 18th- and 19th-century limestone cottages along the River Eye. Very few new properties have been built in the last century, adding to the charm of an English countryside village whose main attraction is an 1800s corn mill and waterwheel.